Finger Supports : Our hands and fingers are regularly exposed during all daily activities, making them subjected to injury. Finger injuries need a period of immobilization using a support to hold the fingers in a particular position so that the damaged structures repair and heal. These splints are often worn for three to six weeks, depending on the curing time requisite for the tissues that were injured. However, medicinal attention should be required if pain continues past 3 days or movement is restricted even after the splint is removed. Mallet finger is a situation where the tendon in out-most joint of a finger is ripped, making the tip of the finger to droop. It’s also known as “baseball finger” and is for the most part connected with sports. Mallet finger is usually treated with a splint that holds the joint in a straight and steady position. The splint for mallet finger is typically worn for at least 8 weeks. 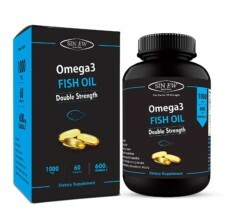 This allows the damaged tendon time to cure. The splint must be worn all the time; otherwise the finger must be maintained in a straight position whenever it is detached. 1. Wear the finger splint correctly. Make it enough tight to keep your finger absolutely straight. If the finger is bent you may grow painful pressure sores. Don’t make the tape so tight that the tip of your finger feels uncomfortable or looks purple. 2. Your skin may start bothering you from not being able to “exhale” and your series of motion is going to be limited, but it’s very important that you keep your finger straight and erect at all times. Even when you’re taking a shower or cleaning your finger, your finger must remain absolutely straight. 1. With the help of these finger splints, you can significantly decrease your pain and it also helps in prompt healing of the injury. Finger splints, help you to keep your finger steady and stable and in its correct position. 2. This Finger support will help in curing the injured finger swiftly by stabilizing its position from any additional injuries. When you have a finger injury, your daily activities gets limited. But when you make use of finger splints, you can execute your daily activities with easiness and with less pain. 3. The best thing about a finger splint is that this product is not like other bulky and bumpy products. Wearing a finger splint is pretty easy and additionally it is comfortable and relaxed. 4. Splints can help you get on with the everyday activities in less pain. These Finger splints are easy to use and are very comfortable to wear as the breathable materials they are made from are suitable for this function. 5. When you have inflammation in your knuckle, torn tendons or fractured bones it will be very imperative to keep your finger away from moving. By keeping it still and steady, it can be cured the right way and in the right position. 1. Tynor Finger Cot F 02:- The Tynor finger Cot F 02 is an ideal finger cot supports for finger injury. It protects and immobilizes the phalanges in case of injuries fractures, or postoperative care. 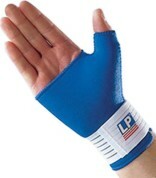 It comprises of Hook and loop bands which ensure a snug fit and eradicates the need for taping. 2. Tynor Mallet Finger Splint F 05:- Tynor Mallet Finger Splint F 05 is specially intended to correct the mallet finger distortion. It is formulated to support the dip joint in hyper- extension, while allowing unobstructed movement of the PIP joint. 3. Tynor Frog Splint F 04: Frog:- This Splint provides wonderful alignment of the inter-phalange joints by maintaining them in best functional position. 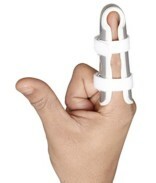 With the use of this splint malleable arms fold to hold the finger in the preferred position. There are no tapes required for this splint. 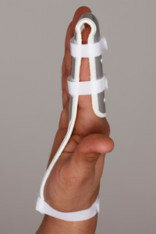 The finger splints are particularly used for support or to control the mobility of the finger. When one injures or fractures the finger, these splints are worn to keep the bone aligned so that curative is done correctly. These are also used by emergency medical services or by the first hand volunteers for temporary immobilization. The physiotherapist, occupational therapists and orthotists for restriction of injured finger, so that no more damage is caused to ligaments, muscles and tendons due to sharp edges of the broken bone. If you torn tendons or have swelling in your knuckle, it is essential that you keep that body part in a moving state which means that the physical activities should not be restricted. When the finger is in a still position, it will heal in a right manner and quickly.